The leaked Galaxy S3 looks very similar to the Galaxy Nexus, which we’ve extensively reviewed here. It has the same curvy shape, earpiece and button positioning, however the leaked device has a slightly smaller left and right bezel, a metallic rim and of course physical home and Android capacitive buttons. 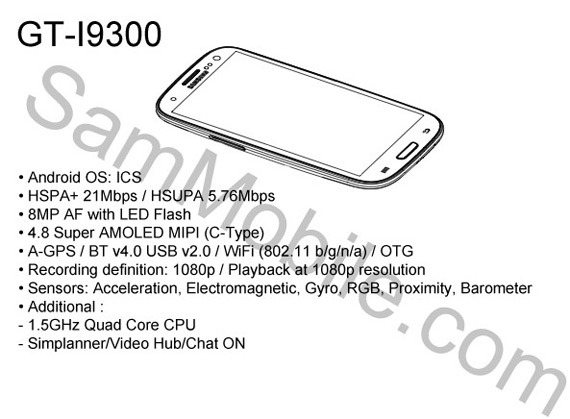 The same shape device appeared in a leaked service manual, below, for a GT-I9300 smartphone, the long-rumored model number of the Galaxy S III. Note that the actual name of the next Galaxy smartphone was confirmed during Samsung’s latest quarterly results call where VP Robert Yi said, we are anticipating very strong demand for the Galaxy S3 . The included specs point to a 4.8-inch device, while previous rumors were for a 4.7-inch screen. There is also a bump in clock speed to 1.5GHz from the previously rumored 1.4GHz. 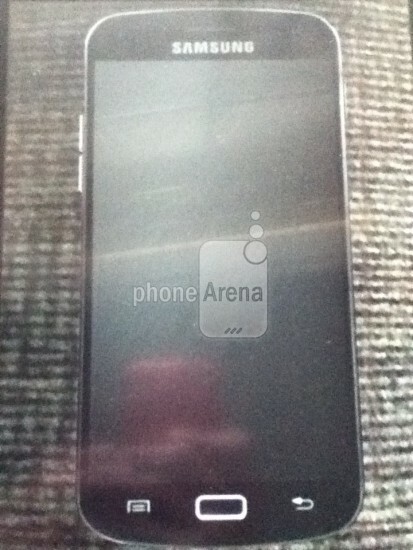 In this leak the camera is supposed to be 8-megapixels against other rumors for a 12-megapixel rear shooter. As with all rumors, take these with a pinch of salt. Anyway we’ll know for sure on May 3rd.